Recovery Toolbox Simplifies Access Database Recovery by Releasing an All-New Solution Based on a Highly Efficient Engine. 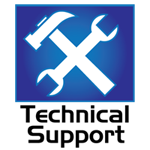 Recovery Toolbox, a recognized expert in the field of data recovery and the developer of an entire line of file repair tools, releases a completely updated version of Access Recovery Toolbox, a powerful Access database recovery solution. The product features an all-new file analysis core and an intuitive UI that works extremely well for professionals and novices. 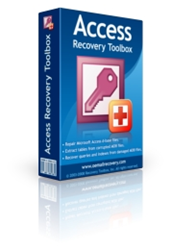 Access Recovery Toolbox, a powerful Access database recovery solution. The program works with *.mdb and *.accdb database files of version 2003 and up, and recovers the most important elements of Access databases, including: tables (fields, indexes), table data, queries and relations. For users’ convenience, the program comes with a database browser that lets them view the contents of the files they are about to process and, if necessary, mark only particular ones for recovery. The program efficiently restores the contents of damaged Access database files of any size and damaged in all conceivable types of accidents ranging from the consequences of virus attacks and power outages to hard drive failures and file system errors. The program is fully compatible with Access files of versions 2003 – 2013, requires no special skills, experience, additional components to be downloaded or anything else – Access database recovery can be started immediately after its installation. The program is a perfect solution for system and network administrators at large companies, where Access database corruption is a commonplace problem.